Search for a "Bible reading plan" on Pinterest and find lots of options. You can choose a monthly or topical reading plan or go for a "read the Bible in a year" plan. The latter has the amazing benefit of giving you a full picture of the Bible's story and allowing you to truly read Bible passages in the context of the whole. Alternatively, you could choose to listen to Scripture. Audio versions of the Bible are available on sites like biblegateway.com as well as on apps like the YouVersion. You can also search for a Scripture writing plan. Many ladies prefer this option because we usually internalize messages better when we write them out rather than merely reading them. All of these options will help you surround yourself with Scripture regularly without that constant nagging question, "What should I read today?" Ask your church leadership about Bible study groups that meet at your church. When you study Scripture in a group, you enjoy fellowship, accountability, and more insights than you would have had on your own. Alternatively, you could find an online Bible study group or ask a friend to study the Bible alongside you. Don't underestimate the power of Christian fellowship that includes Scripture and prayer. Bible study guides are among the most popular ways to study the Bible. They come in all varieties, usually covering topics or books of the Bible. The benefit is that the author of the study guide has already done a lot of research to prepare and is giving you much more insight into the passages than you would have had on your own. Basically, you benefit from all of their prep work. You can find an endless selection of Bible study guides on the marketplace today, so you'll have no trouble studying all year. Browse Amazon or a local Christian bookstore to get started. Make 2018 the year you learn how to study the Bible well. You can find many books and articles on how to study the Bible when searching Google, Amazon, or Pinterest. You don't even have to go that far. 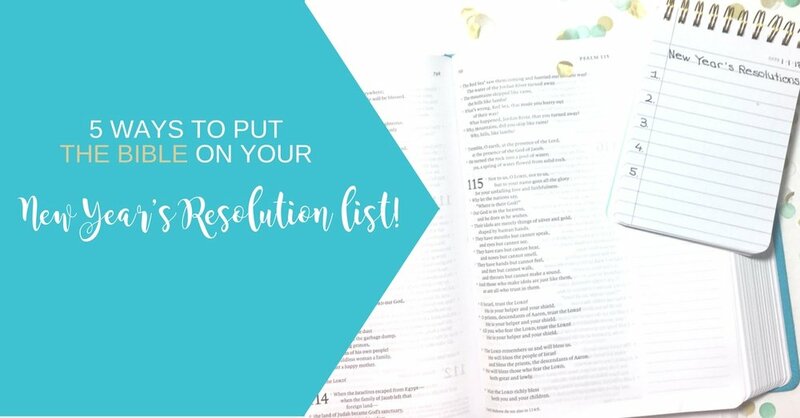 Find lots of Bible study tips right here on this blog, starting with the Mini-Tip Motivation blog post category. On Pinterest, you will also find lots of beginner Bible study methods that often come in forms of acronyms such as SOAP- Scripture, Observation, Application, Prayer. These are a great way to get started. Learning how to study the Bible well and understand it with accuracy will allow you to test the world's messages against Scripture. You'll become a good steward of God's Word and a life-long learner. Today is an exciting day for all of us because the Scripture Confident through the Bible series is now available to all of you lovely ladies who can't wait to study the Bible with growing confidence. Every lesson in the Scripture Confident through the Bible series will teach you a new Bible study method that builds upon the previous one. You will begin by getting into the habit of regular, prayerful time in God's Word. Then, you'll learn how to study the Bible with the trusted "Observation, Interpretation, and Application" Bible study method that even pastors and scholars use. I break everything down into small steps, so you'll be able to follow along without a problem. It allows you to journey through the whole Bible. You won't be reading it cover to cover. Instead, you will dig deep into hand-picked passages that allow you to follow the Bible's storyline. That way, you'll truly be able to study the Bible in context. This Bible study start out very guided - like most study guides you have used. Then, I slowly step back and let you take over the process of studying Scripture. You will be more than equipped to do so. Go for longevity and study at your own pace. I provide several suggested timelines, so Bible study groups can study alongside each other. For example, if you commit 15-20 minutes a day to studying Scripture with this guide, you'll complete the whole series in about a year. That's right; by the time 2019 hits, you'll study the Bible with skill and confidence. That's exciting. We are life-long disciples after all. So what are you waiting for? Sign up to receive the first three weeks of this series for free. Friend, whichever route you choose, I am praying that this will be a Scripture-filled year for you. May God bless you with new knowledge of Him and with wisdom, strength, and peace to apply everything you are learning. Let's glorify God this year!